Developed and manufactured in the UK, BeaverFit Functional Training Rigs combine popular total body, dynamic exercises with a fun and unlimited way to exercise. They become the focal point within a gym and are a complete cost effective solution to all your fitness needs. The BeaverFit ® Seal Indoor FTR (Functional Training Rig) has been designed with the military in mind and can be found at many top training establishments. The Seal FTR has been carefully designed to suit training units for functional training and group circuit style sessions. 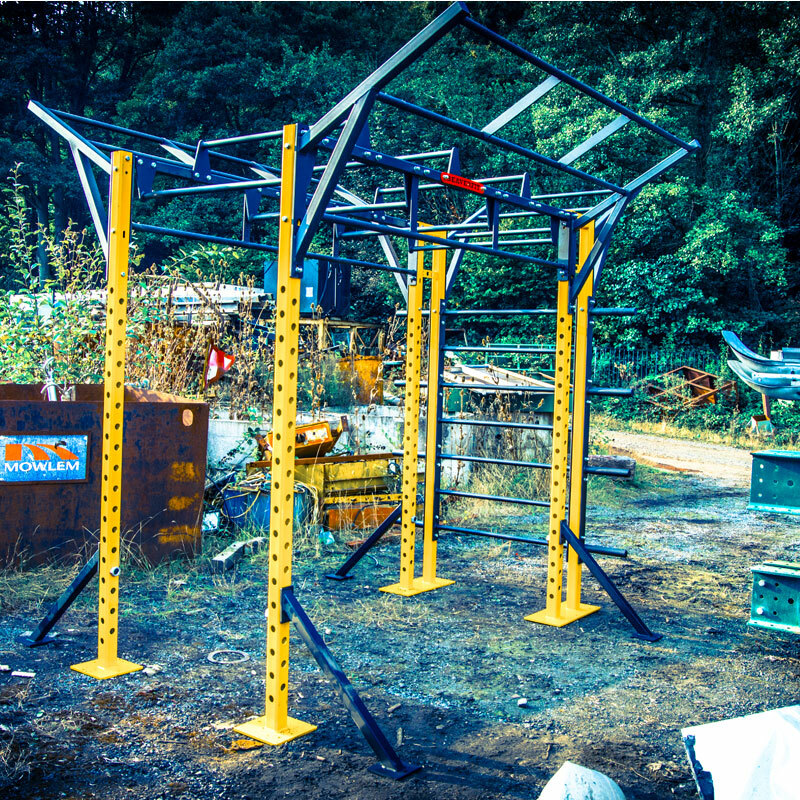 1 x Freestanding Functional Training Rig. 2 x Free of Charge Pairs of Standard J-Pegs. 7 x Integrated horizontal bars. Quick and easy assembly in just 30 minutes. Seal allows to train up to 10 people simultaneously. Easy to build, dismantle and transport. Incorporates Up and down monkey bars. The monkey bars are far enough apart to allow pull ups inside and outside the rig. 3 wings for added pull up capacity. Ideal for hanging suspension training systems. Accepts all BeaverFit Pop and Push Attachments (Order separately). Great for use during rehabilitation. Seal FTR Dimensions - H 288cm x W 250cm x D 364cm. 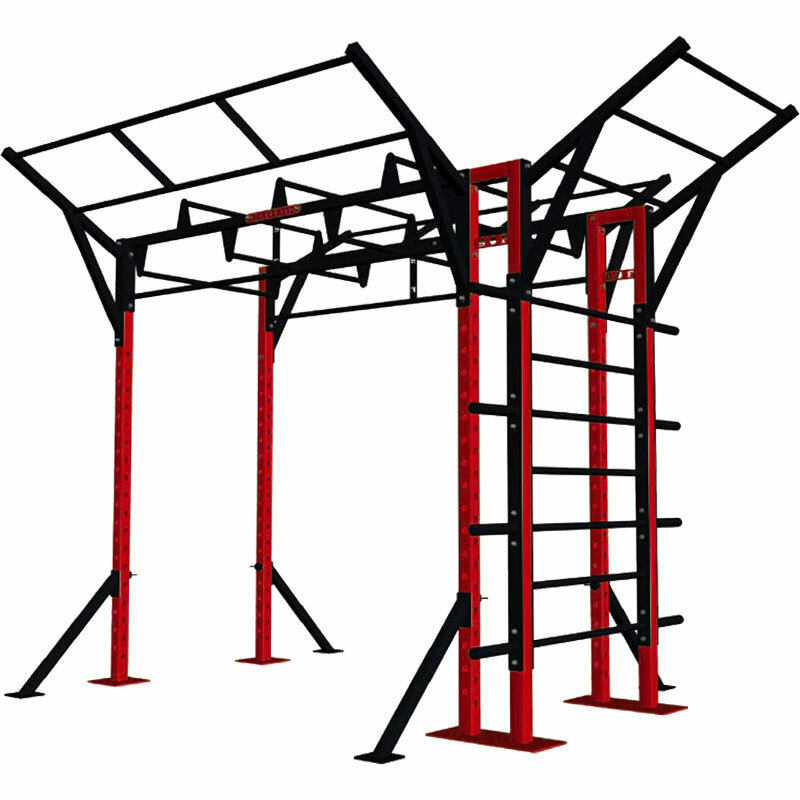 BeaverFit Functional Training Rigs are design and manufactured for all types of fitness training. They can be installed and galvanised to ISO standards for outdoor use at an additional cost, inclusive of a 5 year warranty. Additional training courses from the BeaverFit ARMED Academy are available and if these are of interest to you please email [email protected] for additional information.